John G. Aruda, 87, beloved husband of the late Alwilda "Maureen" (Burke) Aruda, passed away on Saturday, June 10th, 2017 at Melrose-Wakefield Hospital surrounded by his family. Born in Cambridge, he is the son of the late John and Mary (Travers) Aruda. 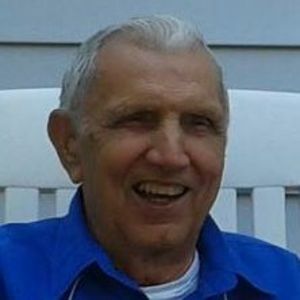 John was a resident of Stoneham for over 55 years. John grew up in Somerville and was a graduate of Somerville Technical School. John served his country and is a veteran of the United States Army. He worked as a Heavy Equipment Mechanic at Builders Equipment in Medford and was a member of the Local 4 Operating Engineers Union. John was also a member of AMVETS. John enjoyed boating, camping, gardening and traveling. He especially loved going on vacations, spending good times with friends and most importantly, John loved being with his family. John was the devoted father of his four children: Nancy Christiansen and her husband Tom, Joanne Bolvin and her husband Gerald, Donna Aruda and John Aruda, Jr. and his wife Cheryl; seven grandchildren: William Miner and his wife Laura, Richard Miner and his wife Stephanie, Sherri Dagger and her husband Matthew, Julie Aruda, and Katie, Kristy and Sean Bolvin; three great grandchildren: Capri, Loralei and Aubrey; and his sister-in-law: Emerald Aruda. John was also the loving Uncle of many nieces and nephews. He is predeceased by his Brother Ronald Aruda and his first wife Camille (Colosi) Aruda. Funeral from the Barile Family Funeral Home, 482 Main St. (RT 28) Stoneham, on Friday, June 16th, at 9am, followed by a Funeral Mass Celebrating John's Eternal Life in St. Patrick Church, 71 Central St., Stoneham at 10am. 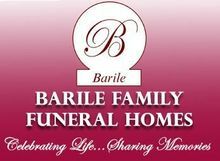 Family and friends are cordially invited to gather and share memories with the Family on Thursday, June 15th from 4-8pm in the Funeral Home. Parking attendants and elevator are available. Interment Woodlawn Cemetery, Everett. In lieu of flowers, please consider making donations in John's Memory to the American Heart Association, 300 5th Ave, Waltham, MA 02451 or the American Lung Association, 1661 Worcester Rd # 301, Framingham, MA 01701. May memories of happier times comfort you and your family, Donna. I am sorry for your loss.